Turkish Chefs says it with a Salt! Turkish food has never been shy of an audience. The problem, however, is that most people in countries around the world assume, the national cuisine of Turkey is about doner kebabs and nothing more. Turks are stereotyped as eating the cheap, street food day in and day out, with hardly any variation resembling a healthy diet. This distortion of the national cuisine couldn’t be more wrong. While vendors on street corners of major cities in Turkey make a roaring trade from doner kebabs, the cuisine is more intense and diverse than that, as evident in the home and Turkish restaurants. Seizing on many influences including Greek, Armenian, Ottoman, Georgian and Persian, just one look at the local and regional specialities as well as full range of starters, main courses, pastries and desserts makes it easy to understand how varied Turkish cuisine really is. The stereotypical image will soon dispel though because Turkish chefs are taking it upon themselves to showcase the lesser known dishes of this intensely intricate cuisine. Other prominent players in the country’s catering industry are also adding their own twists to traditional recipes in the hope of attracting the attention of foodie fans all over the globe. One of those chefs is Aylin Yazıcıoğlu who studied at Boğaziçi University and has also cooked up a wealth of experience by working in famous restaurants such as Gastroloft İstanbul, and Couvert Couvert. These days, she proudly uses her role as executive chef at Nicole Istanbul to showcase Turkish dishes with a twist such as the Aegean spring lamb, cheese platter and fish of the day. Of course, entirely fresh fruit and vegetables are a focal point of Turkish cuisine, and Aylin is currently promoting the tasty version of artichokes with Tamara and wild herbs. This twist in a vegetable that is otherwise widely used as a meze is a welcome addition to including Turkish food in international cuisine that deserves respect. While Aylin is hesitant to admit a food revolution is taking place, her contribution to changing the perception of Turkey’s cuisine can only be highly praised. On the other hand, Serkan Bozkurt, a chef from an Istanbul culinary academy, is pleased to see Turkish restaurants and food brand names opening in the main cities across the world. As someone who is keen to promote Turkish ingredients as much more than kebab meat, he actively supports the diversity in regional recipes from the south to the north of Turkey, and whole-heartedly recommended a seven day cheese tour of the country to sample its variety. 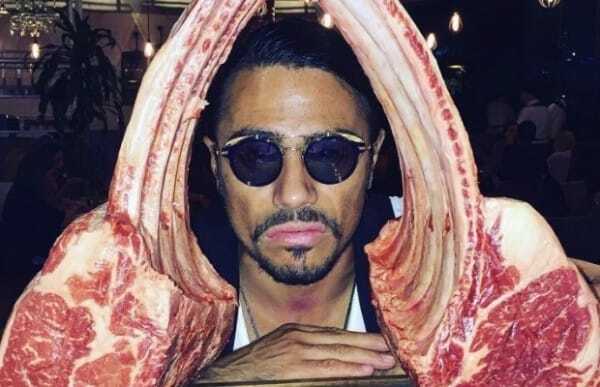 Perhaps one of the biggest success stories is Salt-bae, otherwise known as Nusret Gokce. 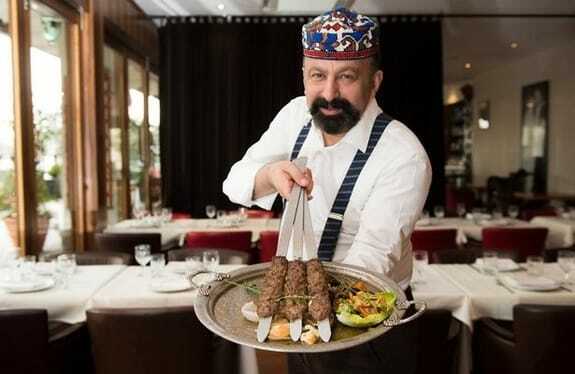 As the owner of the famous Nusr-et steakhouse chain, he shot to fame through his tender handling of prime cuts of meat. Granted he is still promoting Turkey as a nation of meat eaters. However, he doesn’t dabble in doner kebab meat. Instead, his menu and attitude towards finding a good, clean cut rib eye reminds us of the USA and their obsession with the perfect steak, chargrilled and flamed. Combining these influences with his experience as a Turkish chef with branches around the country, he has taken meat dishes in Turkey to another level. In a genius twist, to promote alternative versions of the kebab, he uses only the finest of Japanese beef, morel mushrooms and 25-year-old Italian vinegar. 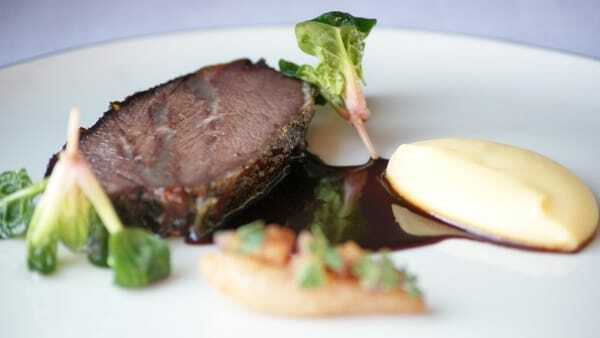 The result is a tasty and unique dish that also happens to cost a staggering £925.00 at the same time. Labelled as the world’s most expensive kebab, it is highly popular with local bankers and wealthy citizens of London. Meanwhile, in Indianan in the USA, the Bosphorus Istanbul Café has made it into the top five places to eat as rated by Yelp. Winning various awards over the years, its menu includes traditional classics such as dolma (stuffed vine leaves), lentil soup and Adana kebab, an entirely different version of the everyday doner kebab that we all know and love. Indeed, it seems over the last 10 years, Turkish cuisine is making a name for itself, and with the participation of experts such as those mentioned above, it reputation looks set to grow even bigger.